Shows » Just Whose Ducklings Are Those? It’s spring, and a female duck swims across a pond with ducklings in tow. Some of the youngsters might not be her own. 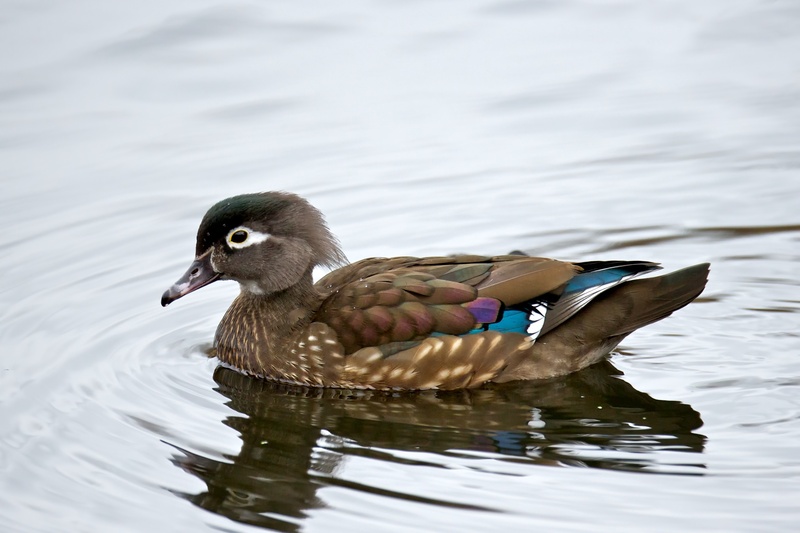 Wood Ducks and others may lay some of their eggs in other ducks’ nests — or in the nests of other kinds of ducks, like Hooded Mergansers and goldeneyes. Biologists call this nest parasitism or egg dumping. Perhaps it’s a kind of insurance against the loss of a nesting female’s own eggs or brood. 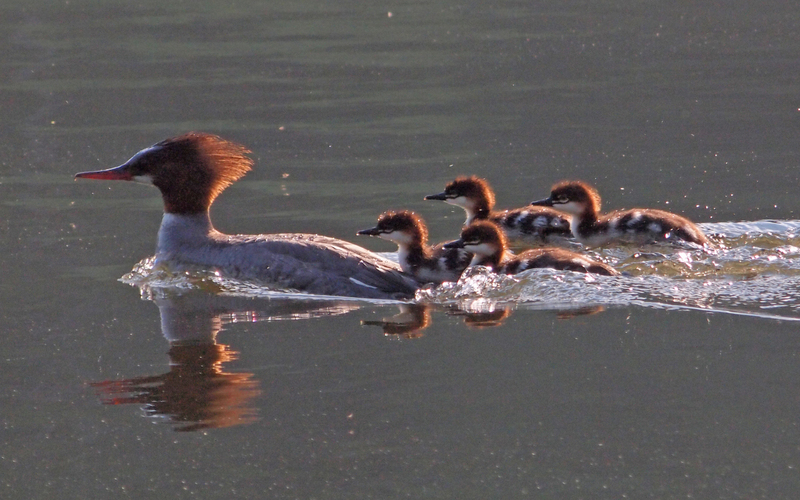 Common Mergansers, like this one, are frequent recipients of eggs from other species. It’s a good bet that mother duck has at least one – and maybe more – foster ducklings. As a female Wood Duck swims across a pond with a dozen little ducklings in tow, we see her as a good mother looking after her brood. Well, it turns out that some of the youngsters might not be her own. 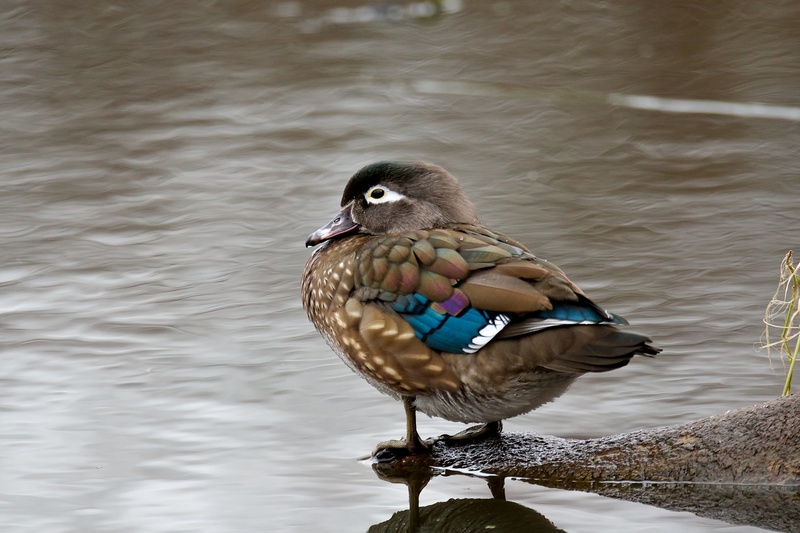 Wood Ducks nest in tree cavities or nestboxes, and it’s well known that they’ll sometimes lay some of their eggs in other ducks’ nests. 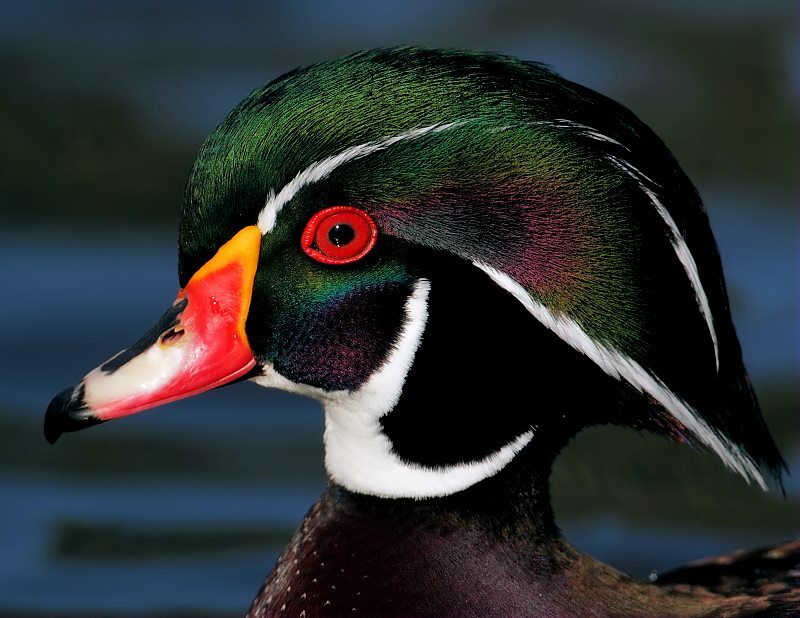 They’ll even lay eggs in the nests of other kinds of ducks, like Hooded Mergansers and goldeneyes. Biologists call this nest parasitism, or egg dumping. It may be a kind of adaptive insurance against the loss of a nesting female’s own eggs or brood – you don’t want to have all your eggs in one basket, after all. 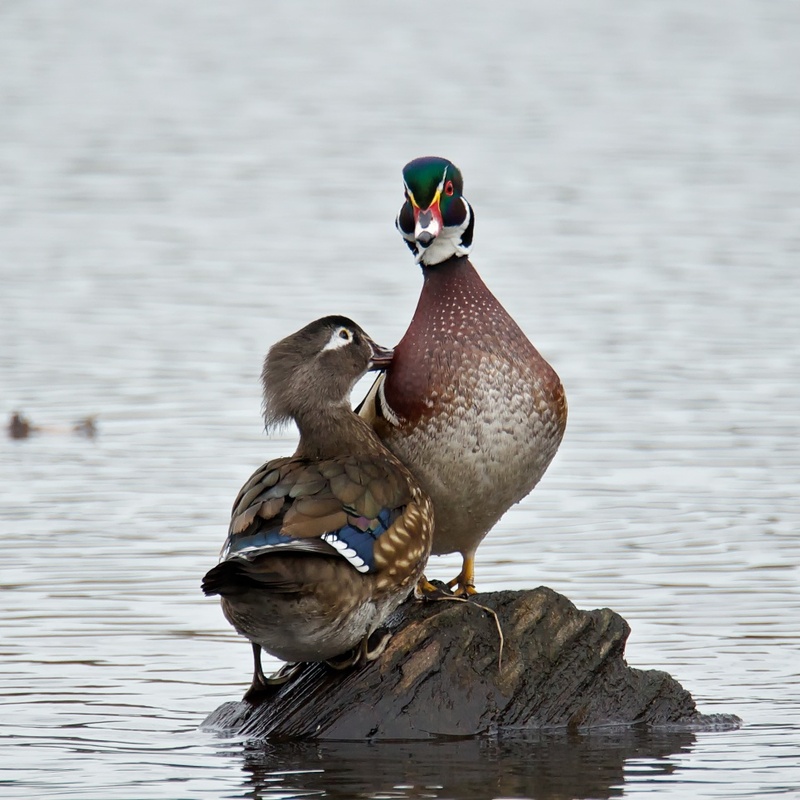 But can a female duck tell when another duck’s eggs have been added to her nest? Perhaps, sometimes. Hooded Mergansers are frequent recipients of eggs from other species. And sometimes, they’ll push the alien eggs to the outer edge of their own clutch, or dump them right out of the nest. [Female Hooded Merganser call, http://macaulaylibrary.org/audio/163898, 0.19-.22] But not always. So back to that brood of a dozen little ones we saw crossing the pond. It’s a good bet that the mother duck has at least one – and maybe more – foster ducklings in tow. Bird sounds provided by The Macaulay Library of Natural Sounds at the Cornell Lab of Ornithology, Ithaca, New York. 179353 recorded by Logan Kahle and 163898 recorded by Steve N. G Howell.